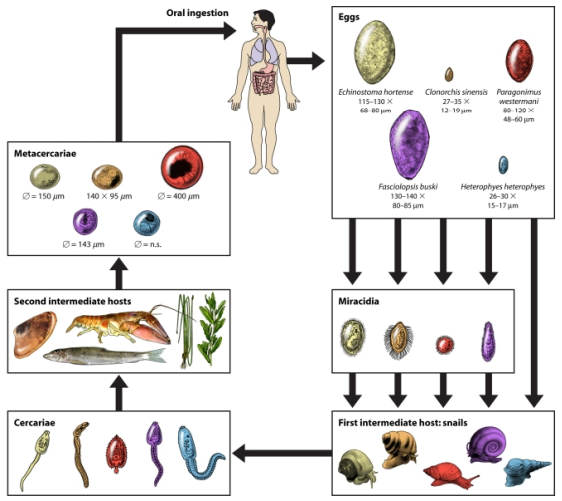 Life cycles of five different food-borne trematodes including intestinal flukes (Echinostoma hortensee, Fasciolopsis buski and Heterophyes heterophyes), a liver fluke (Clonorchis sinensis) and a lung fluke (Paragonimus westermani) (Keiser and Utzinger, 2009). 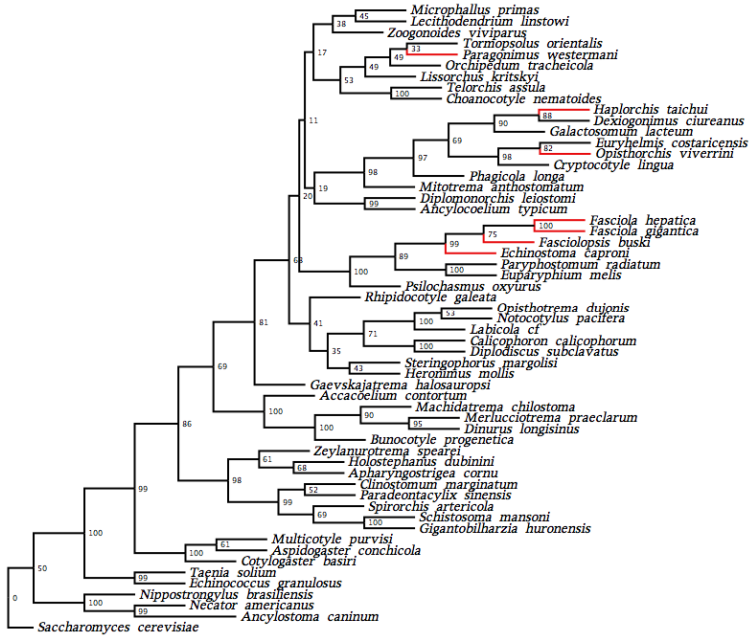 Molecular phylogeny of the class Trematoda based on ribosomal RNA sequence data. The order Digenea. 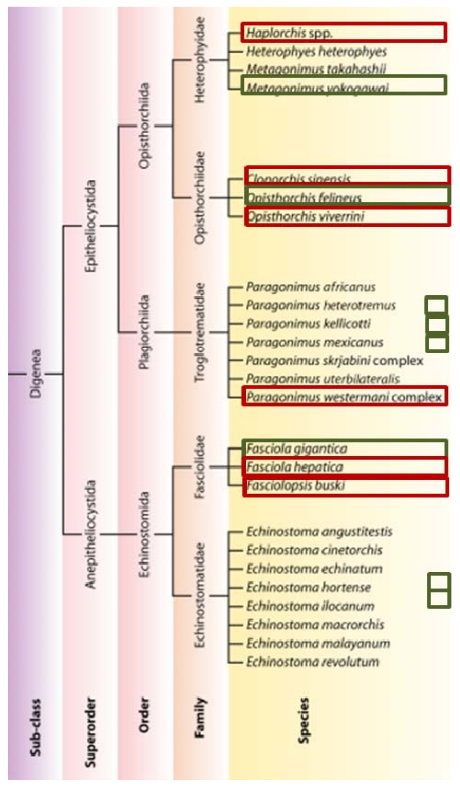 Species are grouped into major taxonomic groups based on phylogenic analysis of data for the small subunit of ribosomal DNA (SSU) (modified from Keiser and Utzinger, 2009).